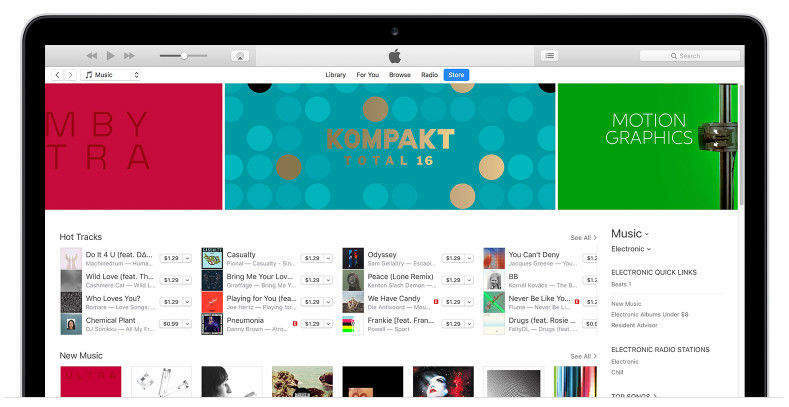 Being the default data/iOS device management software, there are times iTunes users experience several different iTunes issues from time to time. iTunes update errors are one of the top issues they tend to encounter. This generally happens when iTunes is upgraded or downgraded. If you are experiencing the same issues and have encountered an iTunes update error, not to worry. The problem can be resolved without much trouble. In this article, we will guide you how to fix iTunes update error with some easy solutions. Let's explore them now. Part1: Why do iTunes Errors Happen Frequently? Though, iTunes offers so many versatile features, yet users face so many issues. Typically, the iTunes sync errors such as crops up after every update. Read on and get to know about some of the commonly faced iTunes update errors that might trouble you somewhere down the line while performing update or restore operations. Such as some unknown error code: Error1671, Error4, Error 12, Error 2005, Error 2001, Error 2003, Error 2009, Error 23, Error 26, Error 27, Error 10, Error 3014, Error 3, Error 6, Error 39. Fortunately, below is a list of common errors and solutions, follow the guide to fix all the iTunes errors. Here we bring you the easiest solution to fix almost all of your iTunes update/sync/install errors and that too in one go. The Tenorshare's TunesCare is a professional and a very powerful tool with which you can effortlessly fix all iTunes errors along with optimizing the iTunes stability and performance in carrying out daily operations. Moreover, this tool is available for free and can fix all the iTunes sync errors without making you to spend a single penny. Now, step-by-step guide for you. Step1: Click "Fix iTunes Sync Problems" and Tenorshare TunesCare will start to repair the corrupted iTunes library automatically. Step2: After the repairing, you can open your iTunes and sync your data as you want. Step 1:	Launch the Tenorshare TunesCare software and tap on the 'Fix All iTunes Issues' tab from its main interface. Step 2:	Now, you need to click the 'Repair iTunes' button and start fixing the iTunes quitting unexpectedly when syncing iPhone issue. Wait for the completion of this process, so that the application gets rid of every iTunes problem for you. 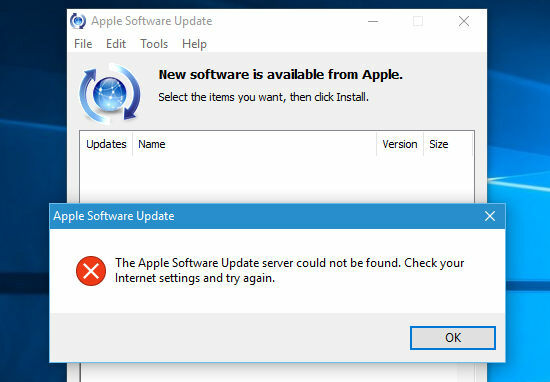 Step 3:	As soon as the task of fixing your iTunes gets successfully accomplished, the software will notify you with 'iTunes is successfully repaired' displayed on your computer screen. In general, this is the easiest fix you can try. Reportedly, majority of the iTunes update errors crops up due to an outdated iTunes version. Here is how to update your iTunes application. Open iTunes and tap on 'Help' tab on the top menu and hit on 'Check for Updates' option. Open iTunes on your Mac and click on 'iTunes' menu bar at the top and then hit on 'Check for Updates' button. Head to 'C:\Windows\System32\drivers\etc\' and open the hosts file using the 'Administrator privileges' for the 'Notepad'. Now look for "74.208.105.171 gs.apple.com" and "127.0.0.1 gs.apple.com" lines within the notepad and delete them. Lastly, save the file and you're done. The iTunes update errors must have now been resolved. But if in case, it's not, move to the next solution below. In most cases, the security softwares block iTunes app from establishing connection with Apple servers. Therefore, make sure to make iTunes as an exception with your firewall or antivirus software. And if the problem doesn't resolves, try disabling your security software for that particular time period. If you still get to see the error, make sure that you're using a genuine Apple lightning cable. Therefore, it is recommended to always use the USB cable supplied with your device. Moreover, ensure to insert the cable directly into the CPU not into a USB hub. Step 1: Connect your stuck device to computer with USB cable, unlock your device and the program will detect it automatically. Step 2: Click "Factory Reset iPhone" from the upper right corner and then enter the new screen. Step 3: Clcik "Fix Now" and you'll see the firmware download page. Choose a save path and click "Download" to proceed. Step 4: When the firmware is downloaded successfully, click "Start Repair" to reset iPhone to factory settings. After the process ends, you can set it up as new. We are now positive that you have full understanding about why the various different iTunes update errors occurs. But you don't need to worry about anything cause you've got the best tool, i.e. Tenorshare TunesCare, to get these annoying iTunes update errors (or any other iTunes errors) fixed with just a single click. Moreover, if the iTunes continue to trouble you for regular data/iOS device management tasks, you've got the best alternative for iTunes, i.e. Tenorshare iCareFone. This powerful tool enables you to actively manage data on your device and also optimize the performance of your iOS device within a short while.